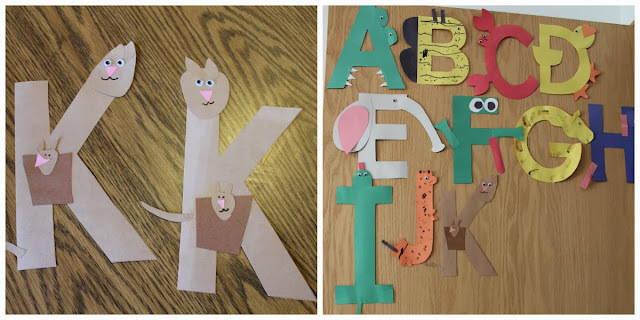 A few weeks ago we set out to learn about the letter K. We began by making mama kangaroos for our door alphabets. Then we learned all about the animals by watching YouTube videos. The mother kangaroos fascinated us the most, and we watched several videos of the babies struggling to get in and out of the pouch. Ashton still talks about how the mommy didn't help the baby get back in her tummy. We also enjoyed watching how the daddies "boxed" each other. 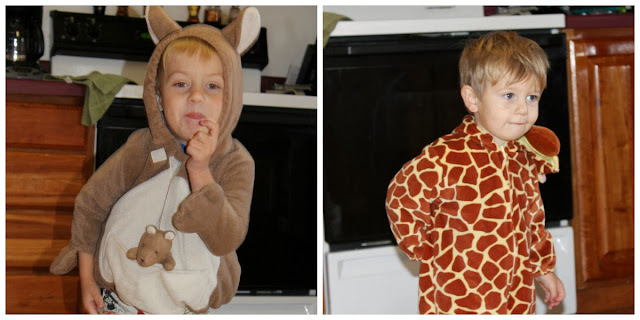 One day I pulled out old Halloween costumes so we could role play about the animals we've learned. Ashton wanted nothing to do with the kangaroo costume, but Spencer stuffed his body in it willingly and then bounced around the house for quite a while. 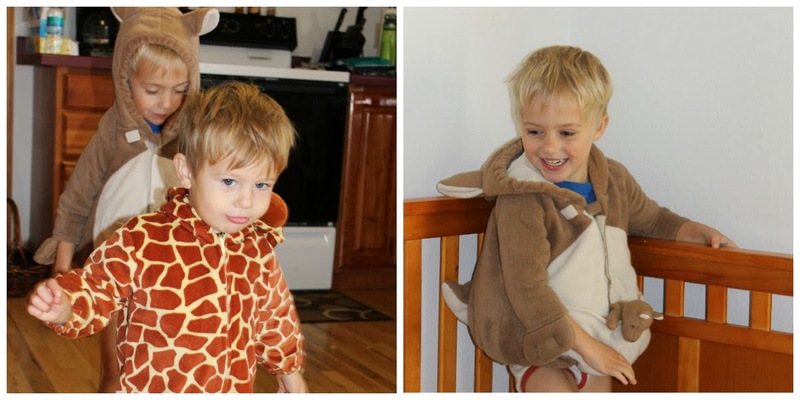 I did finally convince Ashton to put on the giraffe costume, but he wasn't too thrilled with the idea. 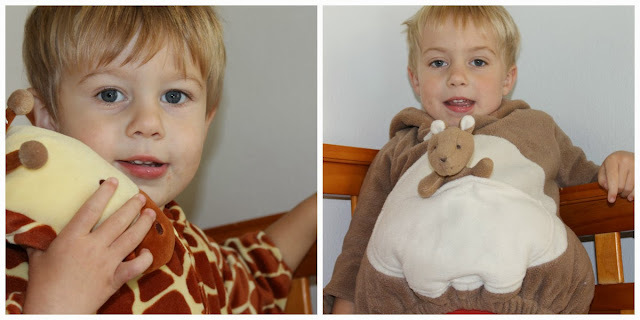 In the end, they just played however they wanted while suited up as a kangaroo and giraffe. No education purpose came about wearing the costumes. Our last project was to make a kite. I emphasized it was the kind we hung on the wall, so no one got disappointed when the activity didn't end with the kite flying in the sky. I was a little surprised by how long we sat and painted the paper. Sometimes their attention spans mere minutes, and other times they can spend an infinite amount of time on one thing.